Trucks Gone Wild Main Website > Categories > Mud Bogging/Racing Event Information (Dates, Links, Etc) > Biggest & Baddest Mud Bogs in the PNW! $2000 Bounty Hole & Pro Team Mud Bogs! Bounty Hole @12pm - $2000 1st, $750 2nd, $400 3rd, prizes 4th-6th! Pro Team Mud Bogs @2pm - $120 per team, 100% payout plus $300 added money! 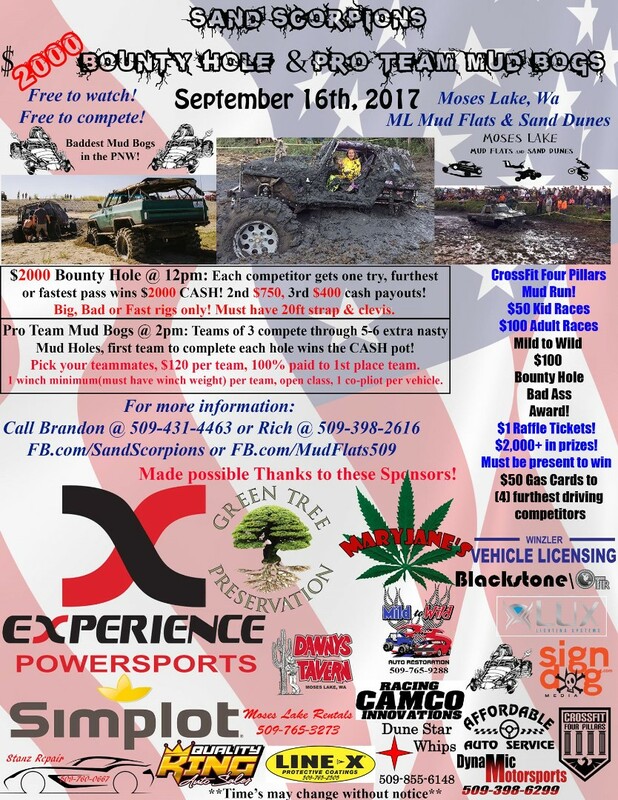 September 16th, @ Moses Lake, WA, Mud Flats & Sand Dunes! Moses Lake Mud Flats and Sand Dunes! Official event video, over $4,000 was paid out for the FREE event!